Sheridan College offers a ton of programs, but did you know you can study with man’s best friend? Not only are our pets cute and cuddly but it takes a well-educated team to take care of them. 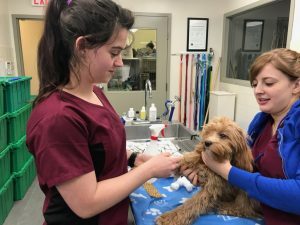 Sheridan offers a one-year Animal Care program and a two-year Veterinary Technician program. Both programs are at Davis Campus and both require a field placement before graduation. 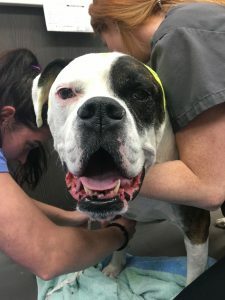 To help better understand the difference between an animal care attendant (ACA) and a registered veterinary technician (RVT), simply put, the ACA restrains the animal for procedures and the RVT does the procedure. For example, the ACA holds pets for blood draws and the RVT draws the blood. Brittney Teuber, a recent grad of Sheridan and now an ACA, was lucky to have a college so close to home that offered a career path of her dreams. Teuber landed a job right away at the same place she completed her field placement. She explains that she wouldn’t be where she is today if she didn’t spend time talking to her professors and making connections. Dr. Matthew Walker, from the Mississauga Animal Hospital, explains what he expects out of a recent ACA grad. 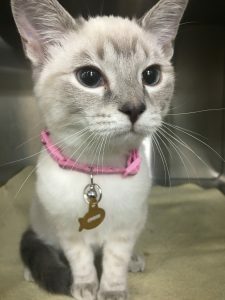 Students going into the Vet Tech program must have a strong background in science and math, excellent communication skills and the ability to lift and carry up to 25 kilograms. Though this is a continuation of animal care education there is a more intensive focus on animal physiology and biology. Students also need to pass the HOAE, which stands for Health Occupation Aptitude Examination, just to be considered for the RVT program. Dr. Walker also explains what he needs from an RVT. Teuber has applied to the Vet Tech program and is awaiting to take her HOAE. Though she is excited to continue her education she does raise concerns on the workload and all the information to learn in only two years. “They do a good job at giving you a basic knowledge but I find that there is just so much to learn that they condensed too much in such a short timeframe,” she says. This program is definitely challenging but the reward could be great, helping our furry friends and the cutest patients.